We would like to welcome you to the most modern Obstetrics, Gynecology and Surgery Hospital of Thessaloniki. We believe that we have created a model hospital organization, aiming to the stabile and high provision of health services for Women. We hope that the presentation of our premises and services will satisfy your expectations in your electronic research. We would like you to know that our personnel are always at your service, for any question or need you may have. 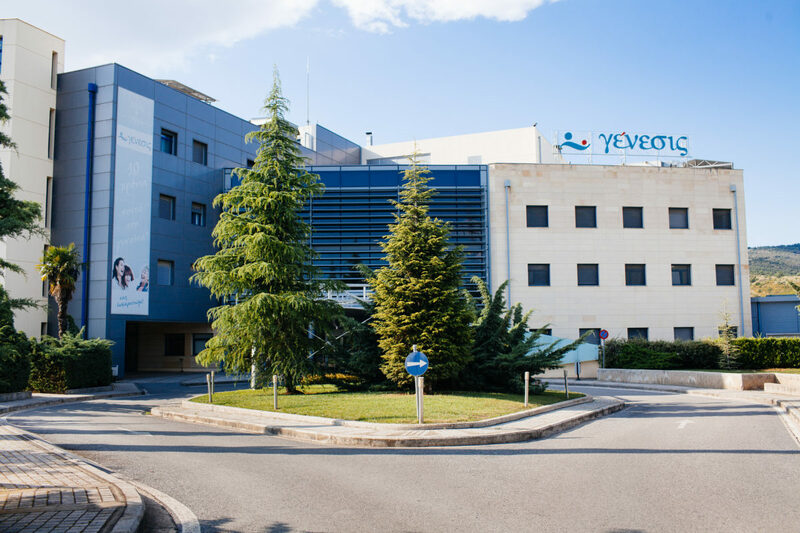 In 3,6 hectares in Elaiones, Pylea and with a view to the entire Thessaloniki, we have created a model, high technology and humane Hospital, which stretches over 18,000 square meters and has 116 beds for general and specialized hospitalization. GENESIS is the first mixed (obstetrics – gynecology – surgery) private Women’s Hospital in Thessaloniki, the outcome of the fruitful collaboration between two complementary sides, on the one hand a wide team of gynecologists in the city and on the other hand the Euromedica Health Group. 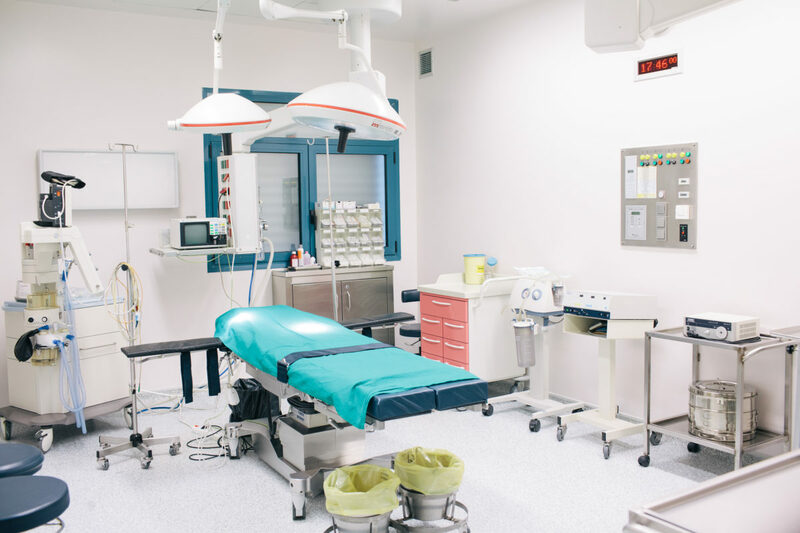 GENESIS has modern medical – technological, electrical engineering and building premises, able to support in the best possible way its collaborating doctors and patients, giving at the same time particular emphasis on the sector of hospitality and the total quality of services provided. In GENESIS there are 220 parking lots available for visitors and doctors 24hours a day, without any charge. Moreover, since July 2013, Bus Route OASTH 14A is in operation (Railway Station – Ano Toumba via Genesis). Finally, in the entrance of the Hospital there is a permanent taxi stand for your convenience. GENESIS is located in a quiet area, only 15 minutes drive frοm theThessaloniki International Airport and just a few minutes from the city’s center. • Coordination, management and admission of international patients in the hospital. • Provision of medical and other information and orientation of the insurance companies and international patients. IPD comprises of trained and experienced multilingual personnel that will guide and assist every foreign patient to their admission in our hospital and throughout their hospitalization period and departure. 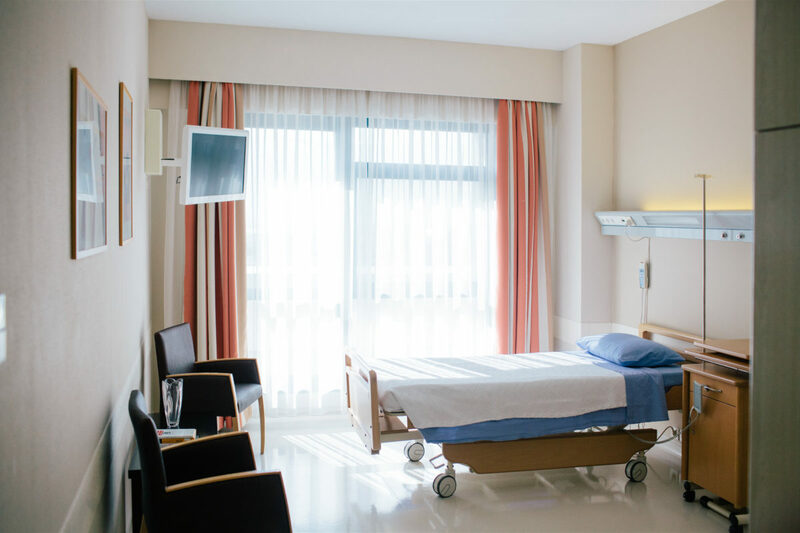 Moreover there are brochures / leaflets and forms written in English, that provide information and guidelines to international patients about their hospitalization and the procedures that need to be done. It is very essential for foreign patients to feel comfortable and secure when abroad, thus we try to provide them with the suitable environment to do so.